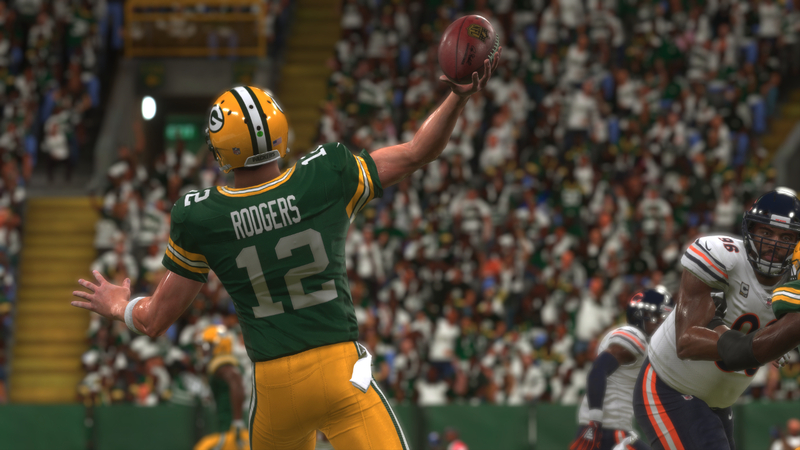 The first roster update for Madden NFL 19 featuring ratings changes based on regular season performance has gone live to download all systems. Notables on the move this week include Khalil Mack (+1 to 96), Odell Beckham Jr. (+1 to 96), Lavonte David (-1 to 94), Travis Kelce (-1 to 94), Cameron Jordan (-1 to 94), Jason Peters (+1 to 93), Drew Brees (+1 to 93), Ezekiel Elliott (-1 to 91), Micah Hyde (-1 to 91), Alvin Kamara (+2 to 90), Russell Wilson (-1 to 90), Myles Garrett (+1 to 89), Tyreek Hill (+1 to 88), Marshon Lattimore (-2 to 88), Kelechi Osemele (-3 to 87), Matt Ryan (-2 to 87), Jared Cook (+2 to 86), Ben Roethlisberger (-2 to 86), Clay Matthews (-2 to 84), LeGarrette Blount (-4 to 83), Matthew Stafford (-2 to 83), Patrick Mahomes (+3 to 82), and Michael Dickson (+3 to 81). Check out full details on current ratings and any changes in this week’s update through the form on the official Madden NFL 19 website.